With the look that Sam gave Dean in the final scene of Supernatural Season 11 Episode 7, it seemed pretty obvious that the younger Winchester wasn’t giving up on the visions or returning to the cage anytime soon. But I just assumed Sam would ignore Dean’s demands to forget it all and simply head off on his own. That’s surely still a possibility, but it was great to see a similar final scene in Supernatural Season 11 Episode 8 restart the conversation and push it even further. Clearly, releasing the Darkness, defeating it, and being scarred and unsure of what his next move should be has been hanging over Sam. He even opened up to his imaginary friend Sully about what’s been bothering him and what to do about the Darkness. It was a solid emotional scene for Sam and Jared Padalecki, and it’s been good to see Sam’s uncertainty and fears carry on throughout the episodes of Supernatural Season 11. This isn’t just a one and done feeling, and he’s trying to figure out the best path to take. But it was definitely great to hear Sully put some positive spin on it all. He called Sam a hero. He talked about everything working out all right. And he knows that if anyone can do it, stop the Darkness, it would be someone like Sam. If not listening to the visions, if not returning to the cage, then what other way is there? I was so glad that Sam wanted to keep talking to his brother, that he’s at least willing to find another way… if there is one. 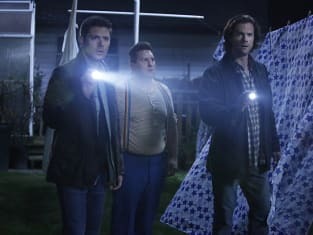 I just don’t think there is going to be another way, and as we all have seen before, Sam and Dean have had to walk some dangerous lines before to get things done. I just hope that they work together rather than branch off to face the Darkness, and the final scene hopefully keeps them on that path, even if there is uncertainty about the next move. Certainly, Sam and Dean have been working together fantastically this season, and even with the wackiness of an imaginary friend case, Dean was there at his brother’s side to get the job done. Nate Torrence was definitely a standout as Sully. 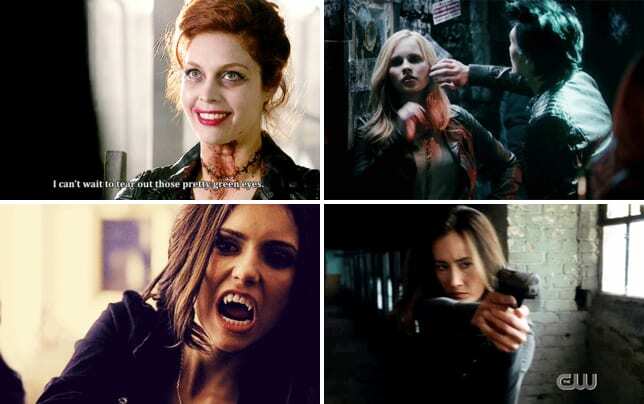 There was such a charming and endearing quality that he brought to the character. Sully could have gotten really stupid, really fast, and I was pretty wary of the whole concept after seeing Sparkles. But Torrence found a way to hit the goofy moments as well as the serious ones, making Sully more than just some cartoonish and crazy idea created by the writers. I liked seeing Sully’s interactions with Sam in the past, even suggesting he go off to school, etc. And Sam did wind up leaving the hunting life and going to school, even if he eventually wound up right back in it. Interesting how things turned out. Dylan Kingwell was fine as a young Sam, but it was still hard to get used to after seeing Colin Ford play the role for so long. It just felt out of place not having Ford there, but I get that it would be tough for him to still play that young of a Sam. And unfortunately, the reveal of who was murdering the Zana was a letdown, even if the twist involving Sully was intriguing. "Just My Imagination" was pretty standard case of the week fare, but it was good to see there were at least some emotional and character connections for Sam in addition to the hunt. What did you think of the case? What's Sam and Dean's next move? Sound off below, and watch Supernatural online now before the midseason finale! 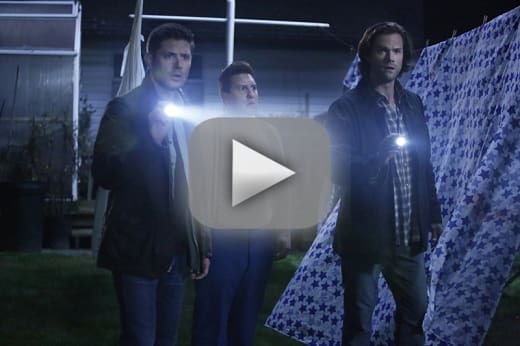 Note: Supernatural Season 11 Episode 9, "O Brother Where Art Thou?," airs Dec. 9 at 9/8c.